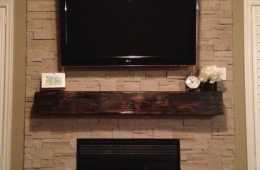 Here is another recent mantel up on the wall. This one is stained espresso – our most popular color these days. The stone is neutral and looks great as a back drop for the beam. 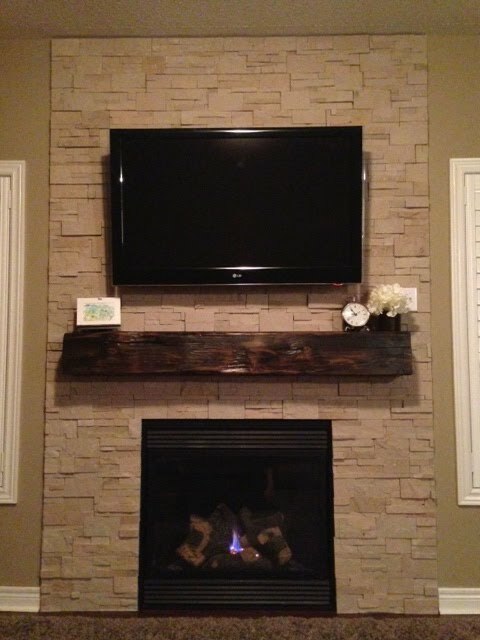 For more information about our mantels call REBARN.CA @ 647-968-4004.